Dying to get behind the wheel of a new Mercedes-Benz sedan, coupe, or SUV? Want to learn more about our state-of-the-art service center? Need more information on our current special offers? 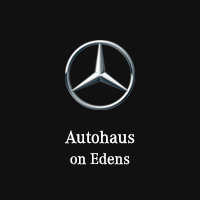 No matter what your question is, the team at Autohaus on Edens, your premier Mercedes-Benz dealer in Northbrook, IL, is here to help! Whether you need assistance setting up a test-drive appointment or want the details on our latest deals, simply fill out the form below with your contact info and your inquiry, and a team member will reach out shortly with answers. If you’d like to speak with us immediately, give us a call at (847) 272-7900.